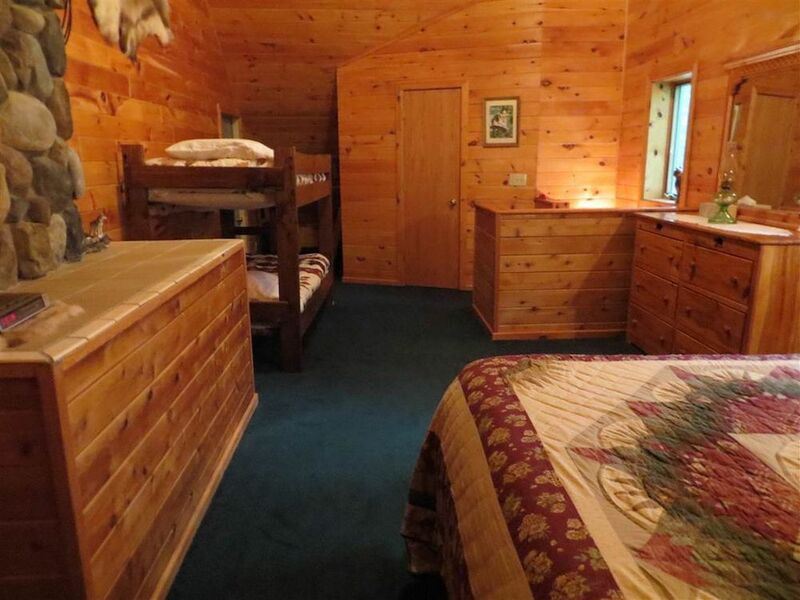 The main lodge is built out of logs and has three bedrooms, three baths, and a sauna. Michigan's Upper Peninsula is a rugged stretch of land cut off from the rest of the state and from Canada by the Great Lakes. It's a favored getaway for Michiganders from the more populous southern part of the state looking to wander in the woods, hunt, and get out on the water. Think the Adirondacks, but even more vast, less settled, and surrounded by icy inland seas. 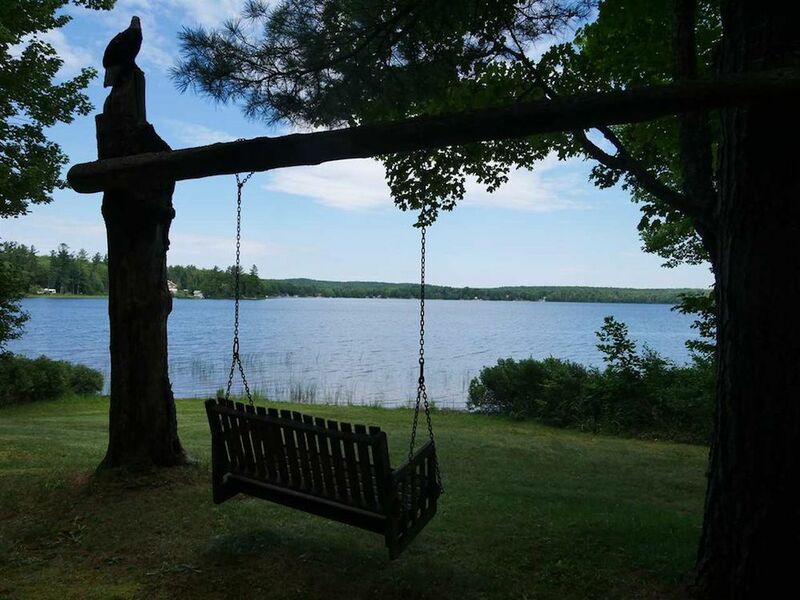 The harsh winters and short summers aren't for everyone—clearly, since so much of the area remains wild—but the U.P. 's natural beauty is breathtaking, plus there are outposts of civilization for when you want to get your fill of beer, pasties, and whitefish dishes. 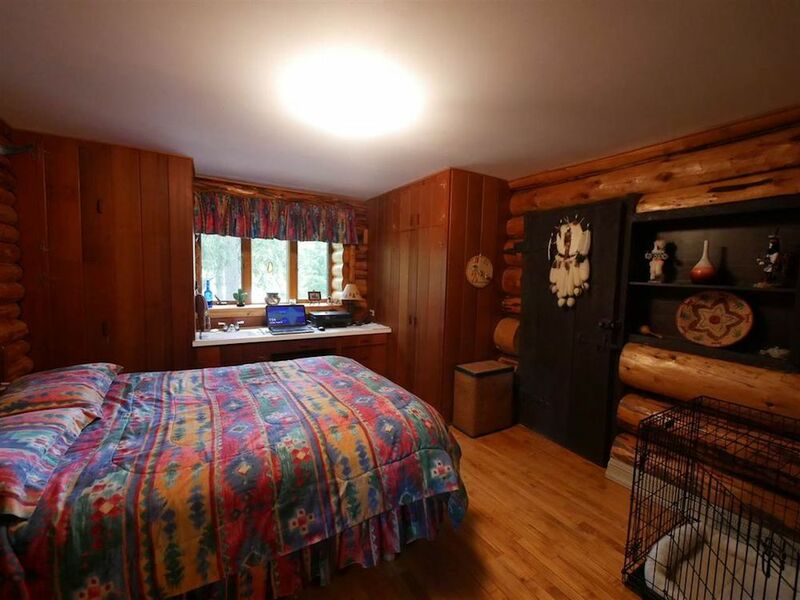 If it's a backwoods refuge you seek, you don't want to give up on creature comforts, and you have a lot of people to entertain—say you want to host regular family reunions, or, I don't know, start a cult—this former resort might be of interest. 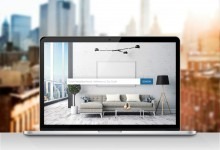 Oh, and another requirement: Manhattan money to spend. 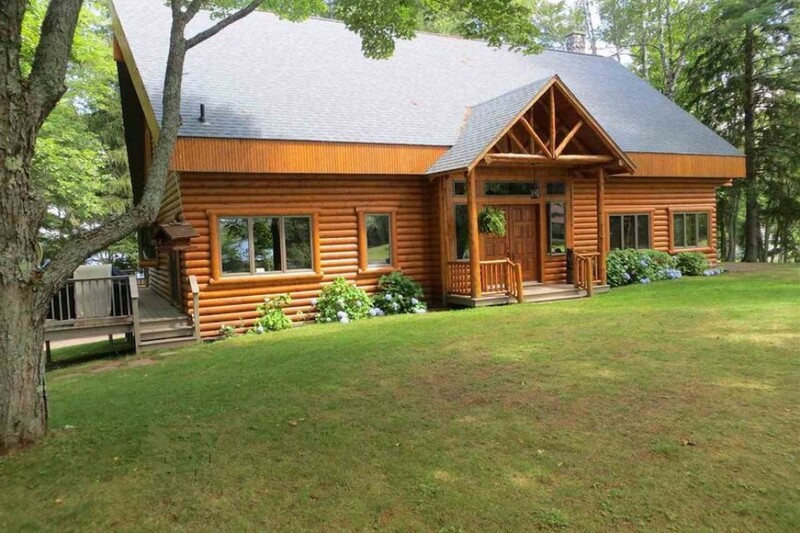 The compound is in the Baraga State Forest area on Lake Gerald, and is listed for $1.6 million. 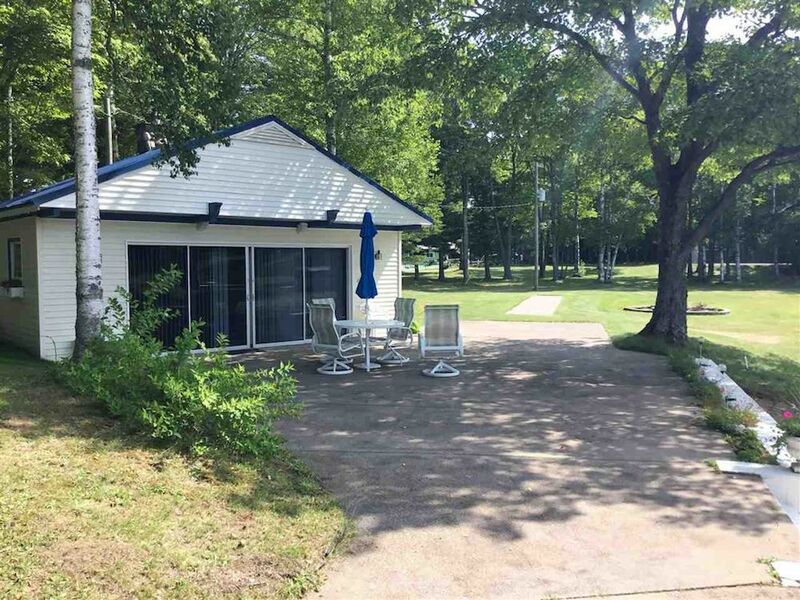 The 4 1/2-acre property includes a three-story lodge with three bedrooms, three bathrooms, and a sauna, a boathouse with upstairs living quarters, a beach house, two beaches, a tennis court, a shuffleboard court, and a basketball hoop. Not bad! 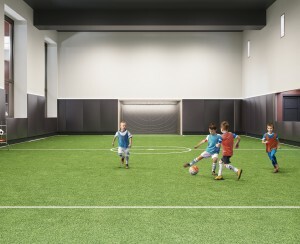 Especially when you consider what $1 1/2 million gets you in New York. 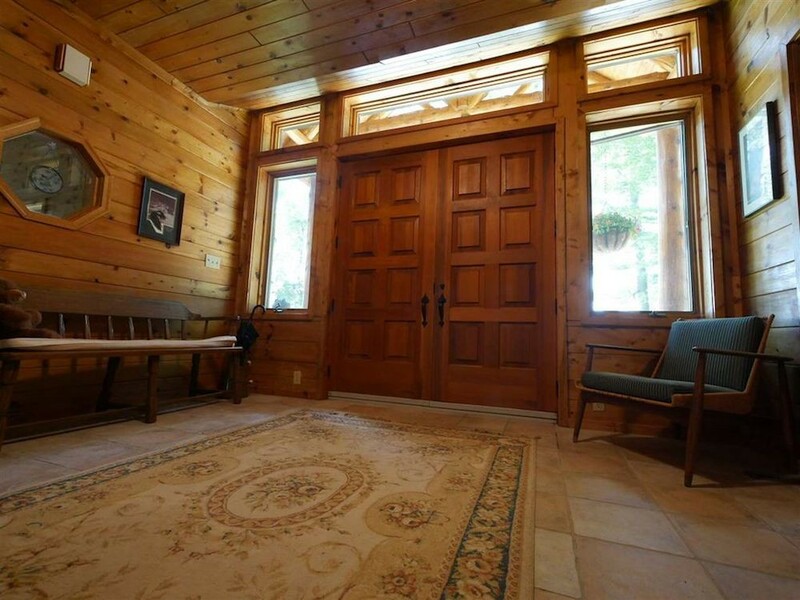 The log lodge has a grand entryway. 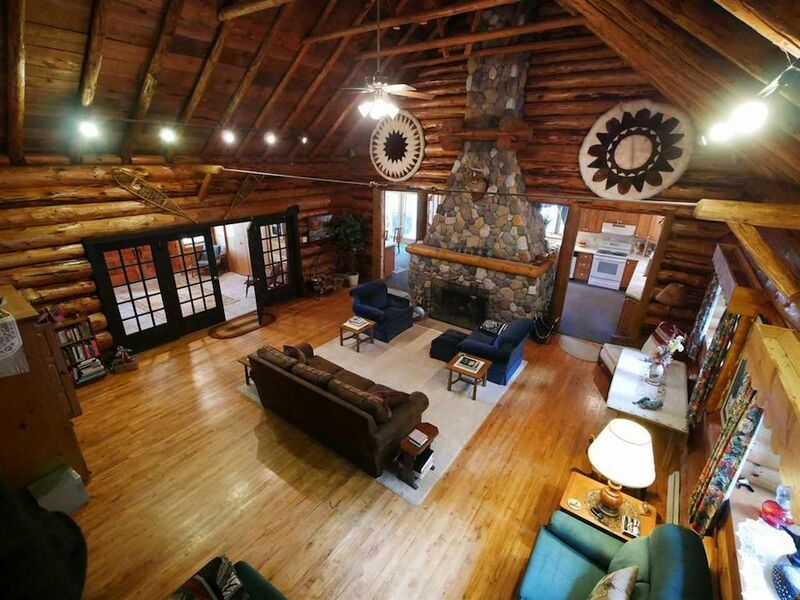 The central room consists of log beams over a vast open space, and a two-flue stone fireplace. 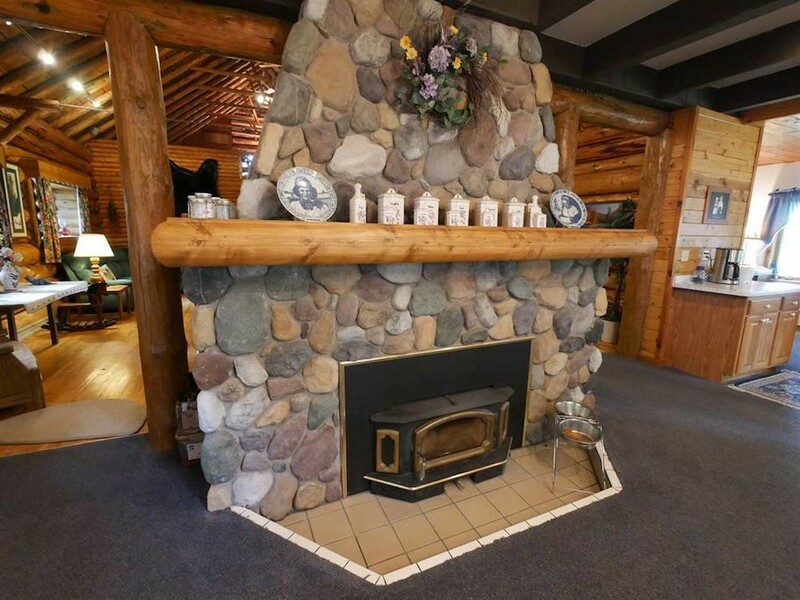 Here's a closer look at the fireplace. The hard carpet may not be to your taste, but you might change your tune when you get touched by the cold around here. 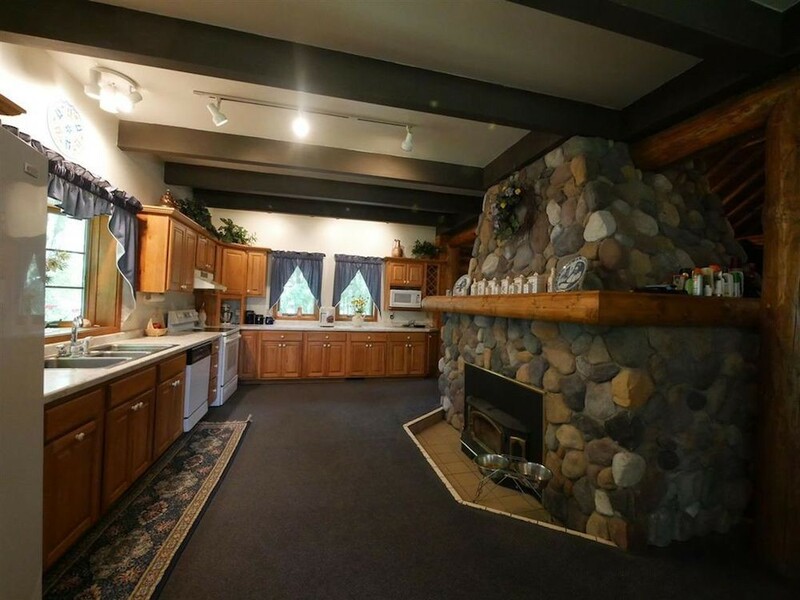 There's a full kitchen, with a wood stove for extra heat. 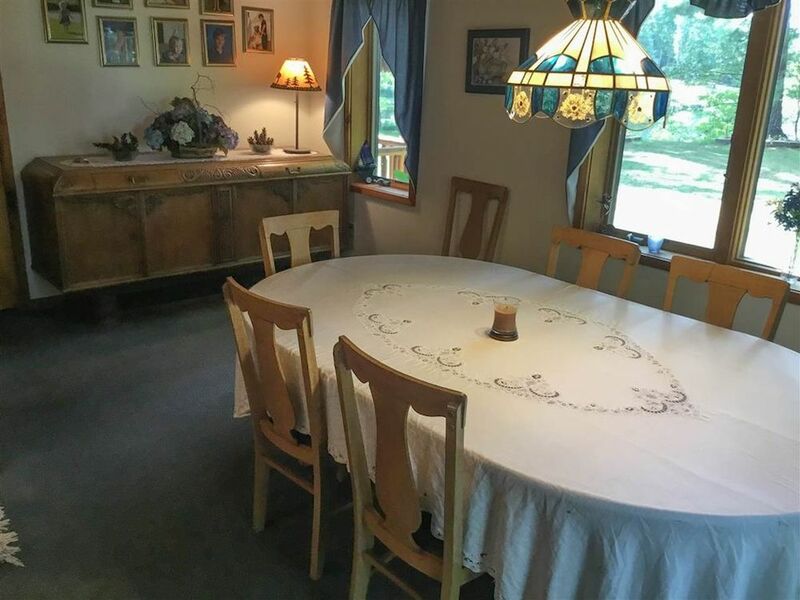 And an intimate dining area. 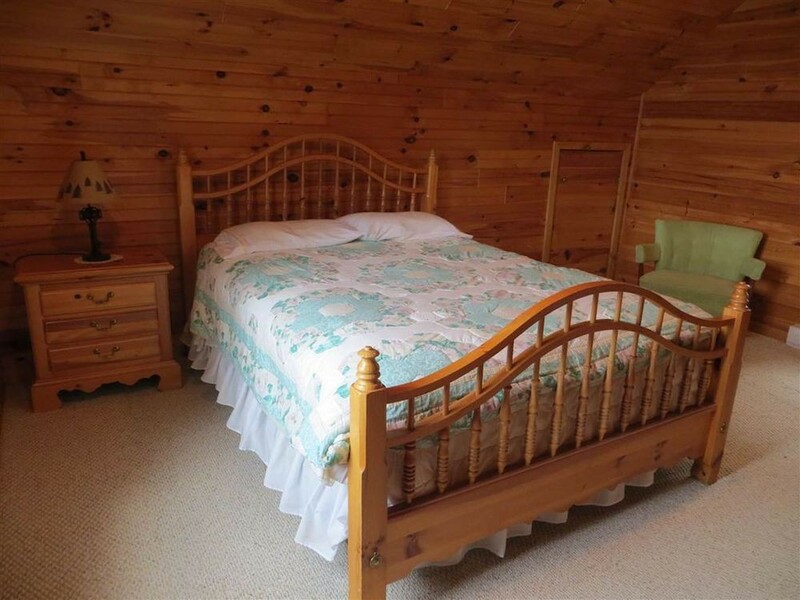 There are two rustic main bedrooms. 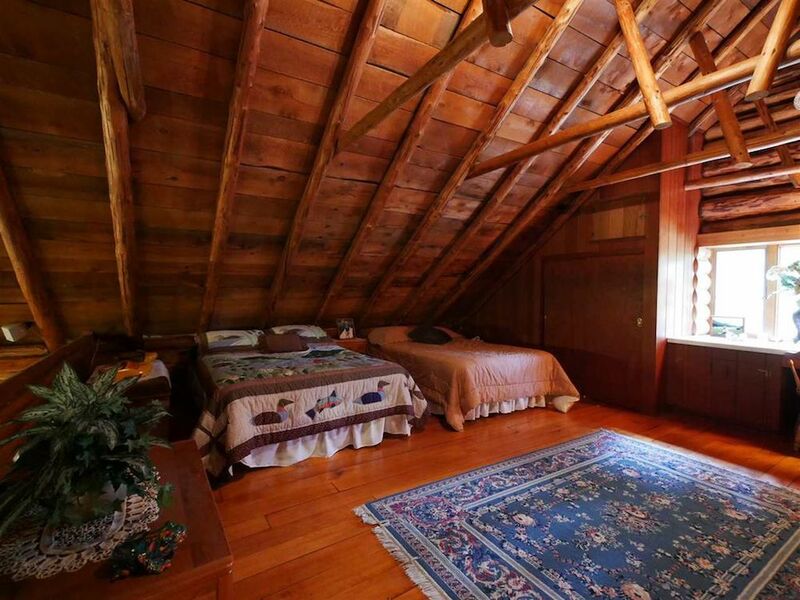 And there's more sleeping space in the airy attic. 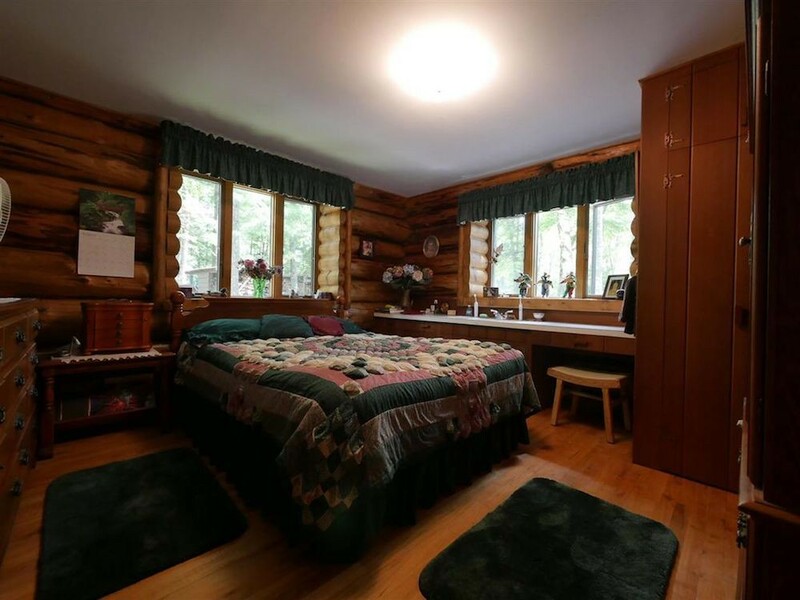 Another, smaller bedroom can sleep yet more people. 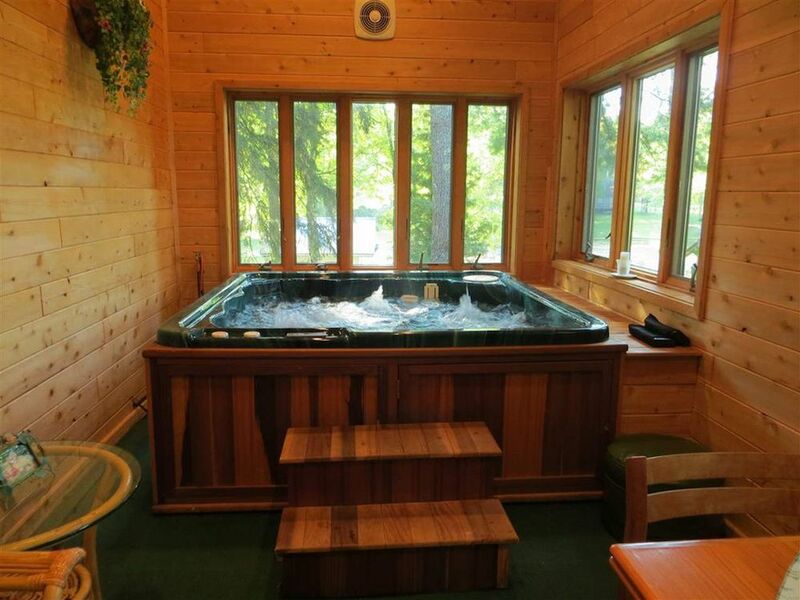 The main lodge also has an inviting-looking six-person Jacuzzi tub. 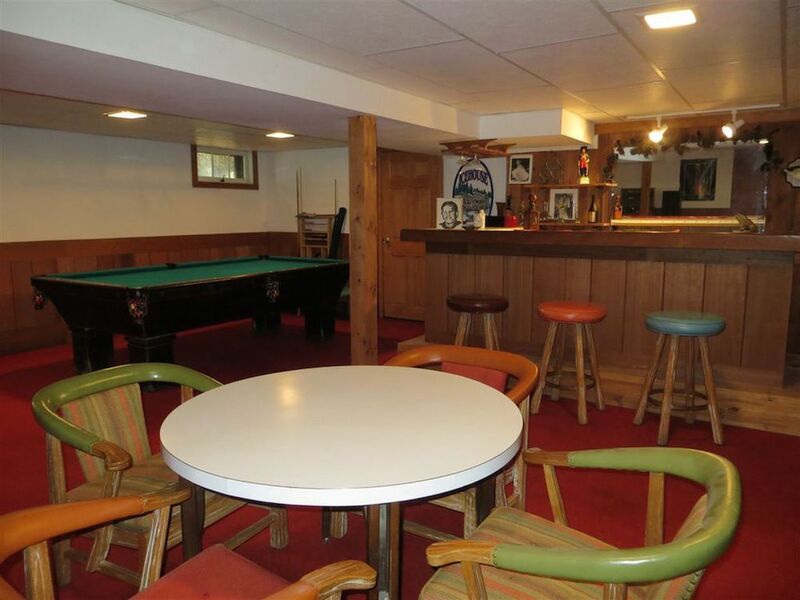 And, for winding down at the end of a day on the trails or the lake, there's a recreation room with a pool table and a bar. 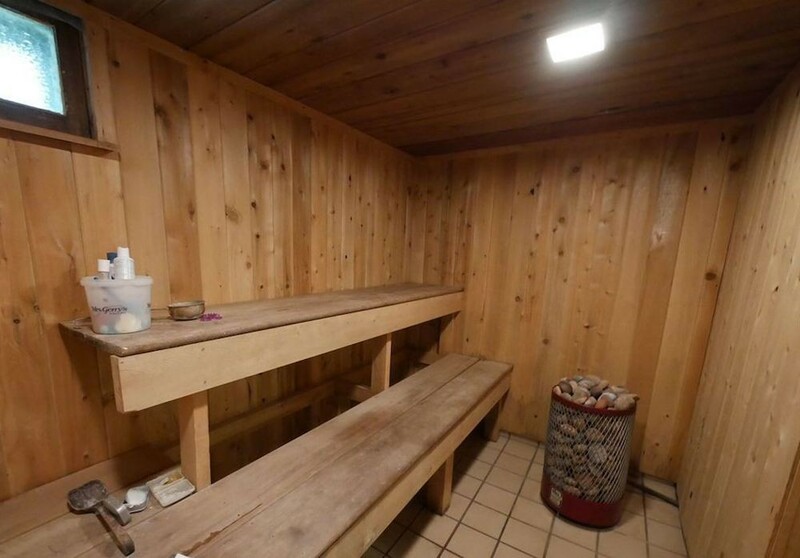 There's also a sauna, which is probably especially nice in the cold months. Outside is a covered deck with a built-in grill and rotisserie. 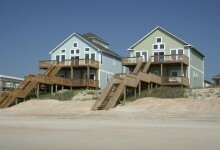 Here's the beach house, which has a Murphy bed for sleeping. It's set up like a studio apartment, though perhaps without a kitchenette (it's not clear what's in the back corner). 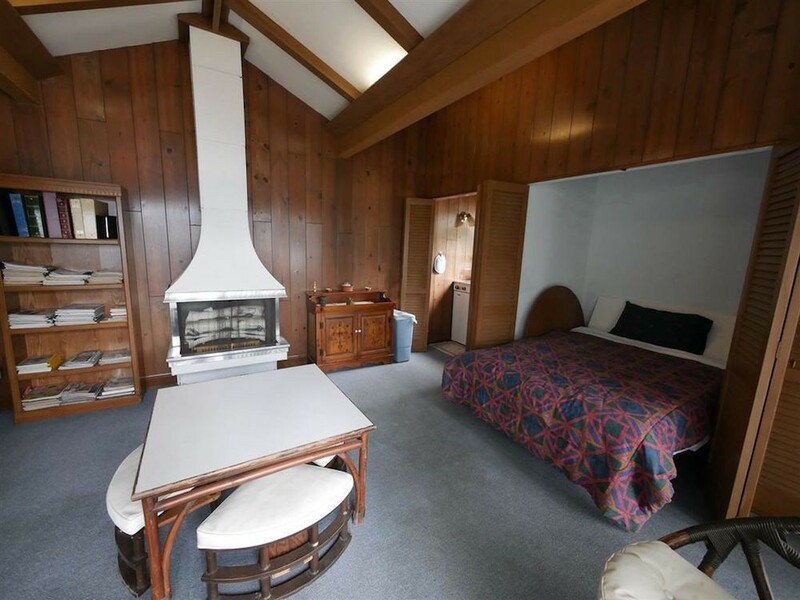 It too has a fireplace for beating back the chill. 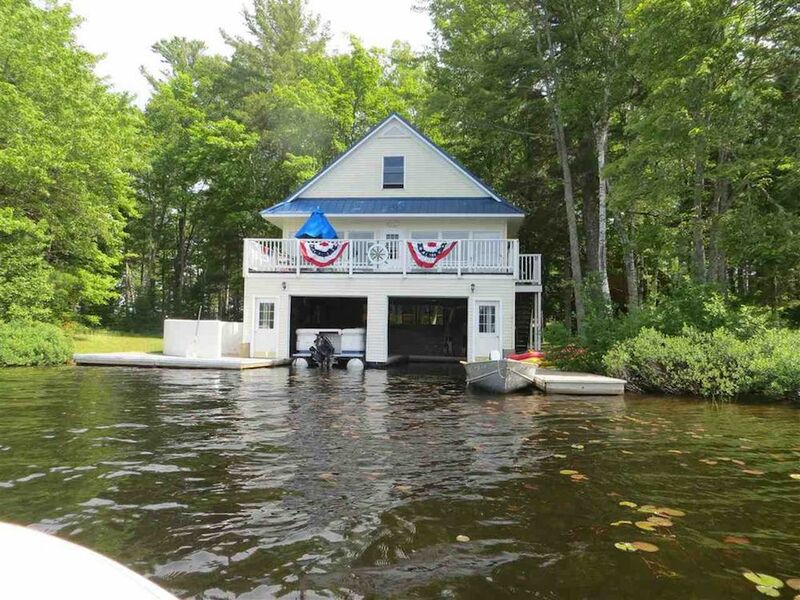 And then there's the boathouse. 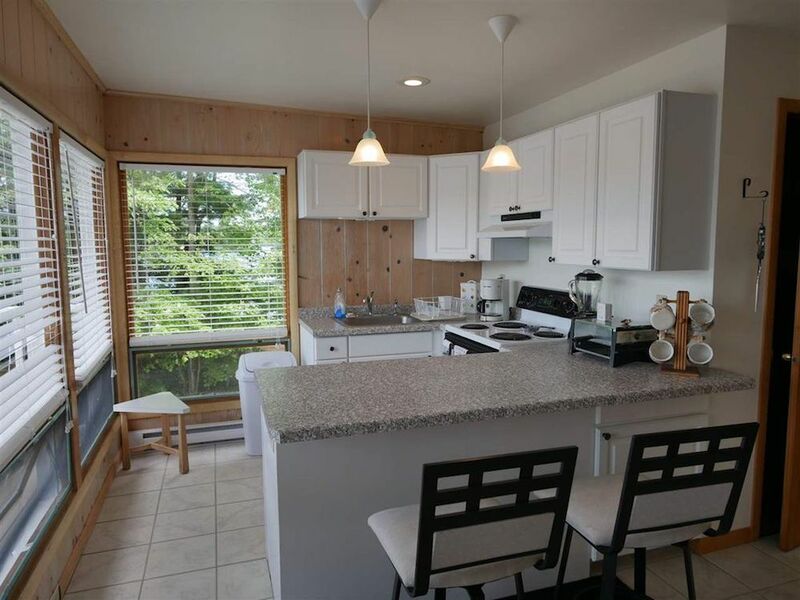 The boathouse has full living quarters, including a kitchen, a living area, and a bedroom. 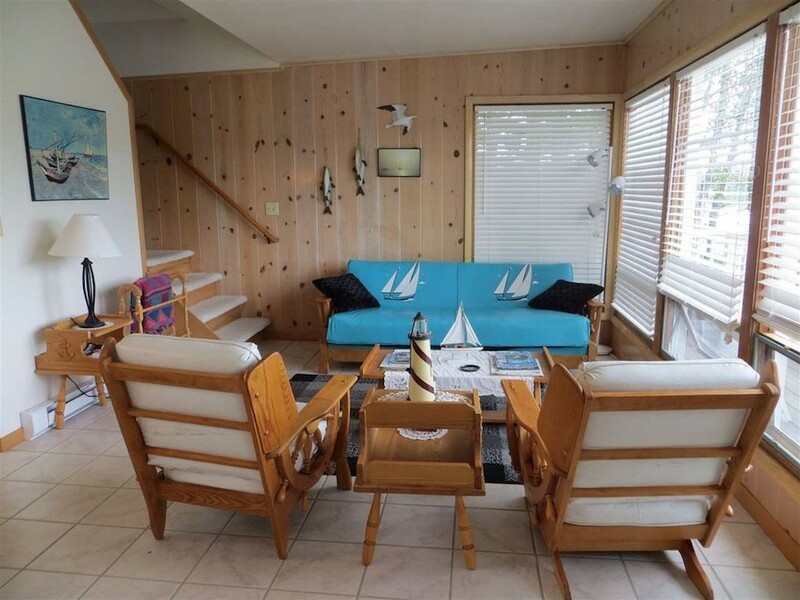 There are berths for two boats downstairs. 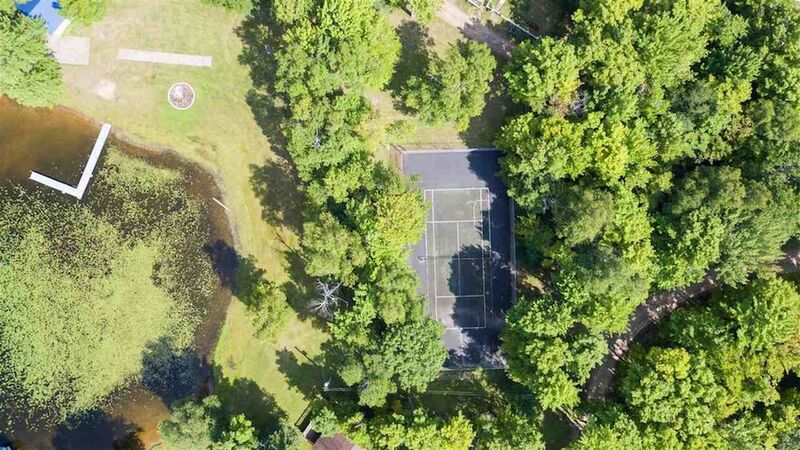 Here's a shot of the tennis courts. 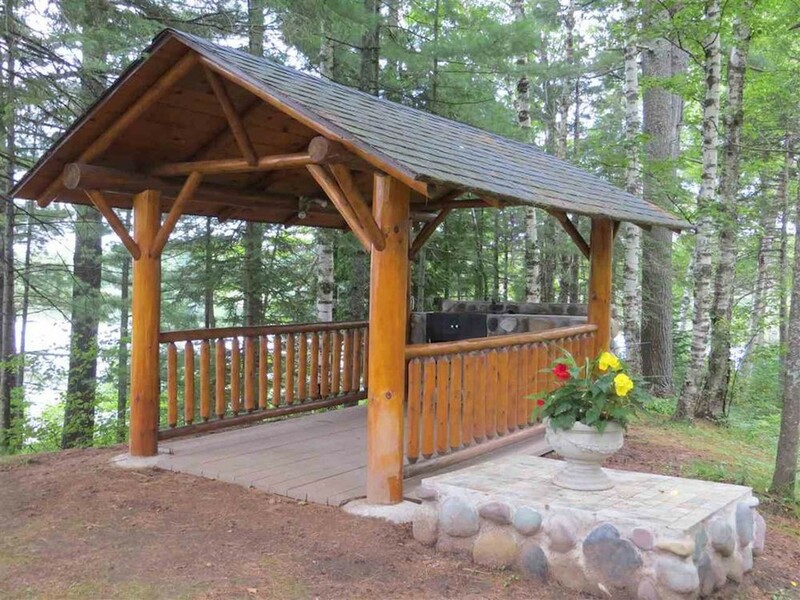 The land is about 40 minutes from Houghton, home to Michigan Technological University, and about two hours west of Marquette, the biggest city in northern Michigan at 21,000 people, and home to Northern Michigan University. 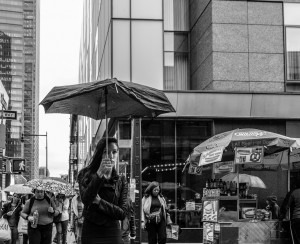 Flights are available to Houghton and Marquette from New York, with connections in Chicago or Detroit, for around $400 round-trip.